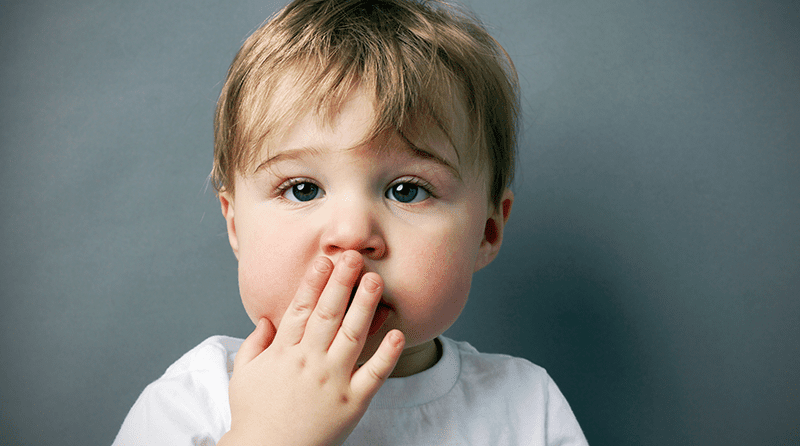 According to a new survey conducted by daynurseries.co.uk, more than 1 in 10 nursery staff have seen an increase in children swearing. The survey was created by daynurseries.co.uk, the leading reviews site for nurseries. It found that 13 per cent of staff had seen an increase and 12 per cent heard children swear often. A total of 1,125 nursery staff participated in the study. “These findings are not a surprise, as swearing seems to have become more socially-acceptable, and if young children do not hear it at home, they can hear it in pop songs or on YouTube,” said a spokeswoman for daynurseries.co.uk. The author of “Swearing is Good for You”, Emma Byrne, theorises that swearing is an essential part of the language. She also believes that profanities help people with their pain and allow them to let off steam. In her book, Byrne states; “The research shows that swearing causes a strong emotional reaction in our brains. This means that children will, unfortunately, be much more likely to notice and remember swearwords that they hear. “No matter how careful you are, your kids are going to hear swearing at some point. As parents, we need our children to understand the emotions, and the brain activity that goes along with swearing. Helping even very young children to name their feelings has been shown to help them manage their outbursts, whether they are tantrums, sulks, or swearing,” she adds. On the other hand, John Warren, who has over 30 years’ experience working firstly as a nursery practitioner and then progressing to become and Ofsted inspector, says: “We need to bring back the innocence in children’s lives, awe and wonder, the tooth fairy, Father Christmas, unicorns and fairies. Let them have fun with language, invent new words and don’t be so quick to jump on the child who says ‘poo, fart and bum’ and then giggles. We need to introduce the children to story books that are full of words to add to their vocabulary. “Swearing is definitely more accepted in today’s culture, and the word ‘s**t’ has replaced so many words, for example, ‘this is good s**t’; ‘I trod in s**t;’ ‘people know their s**t;’ ‘s**t for brains;’ ‘lucky s**t;’ or ‘unlucky s**t’. So rather than introducing children to a world of beautiful language, we are introducing them to a language, well, that is ‘s**t’. “And this language is not reserved for less affluent families, it is also quite happily used on giant billboards for children to view such as the ‘B******s to Brexit’ campaign,” adds Mr Warren, who worked with both Asquith Nurseries and Kidsunlimited. “I spoke to his mum and dad in private when they came back. They couldn’t understand where he had acquired those words. The mum called her son over to us and then reported to me in front of him, ‘I don’t know where the f**k he got those words from’. She then looked down to the child and said, ‘if I catch you f*****g swearing again there will be no sweets’,” continued Mr Warren. Cheryl Hadland, who runs Topsy Day Nurseries, concurred with the study and said that it had become more acceptable for people to swear. She also states that children need more support and guidelines. Speaking of the survey results she says: “We are also preparing young children for school and for learning that there are different rules in different locations; so learning to refrain from swearing at day nursery ‘because we don’t use that word here’ is acceptable in my opinion.